I recently got Pure Wool: A Knitter's Guide to Using Single-Breed Yarns. 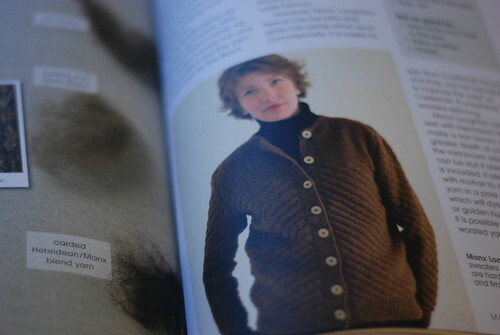 As the title suggests, the book is all about knitting with single-breed wool yarns, and recognising the unique qualities of each breed. I've been spinning for a while now, but only recently have I begun really appreciating the wide range of wool available. And recently, mill-spun yarns showcasing individual breeds have become more common, allowing non-spinners to discover the world of wool in the same way. 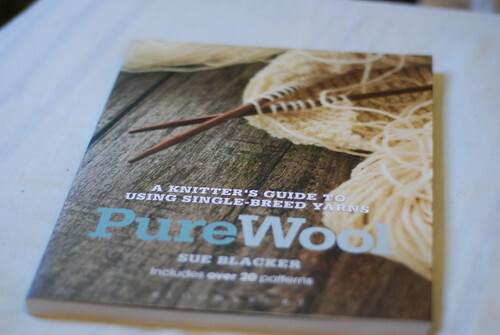 It's not a massive book - weighing in at 144 pages, it pales in comparison to my Fleece & Fiber Sourcebook, but Pure Wool has a different focus. It doesn't try to be an exhaustive resource for every breed of sheep. Instead, Sue Blacker has chosen 16 breeds found in the British Isles and focuses more closely on their strengths and weaknesses. 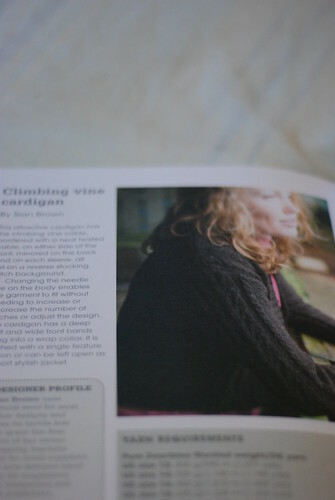 The book contains 21 patterns tailored to certain breed-specific yarns. Most of the patterns are quite simple and I didn't find many of them too inspiring - but I didn't buy the book for the patterns. I will say they all look quite knittable and wearable, but many are garments and knit in pieces, so not really up my alley. This is a nice sweater knit in Manx Loaghtan yarn... but the pattern isn't included (you can find the Chevron Cardigan pattern by Rita Taylor on Blacker Yarns' website)The photos are generally high-quality, and well-composed, though the darker yarns lose some detail which is disappointing. Each breed of sheep has a page showing the fibre in its raw form, prepped, and spun (and sometimes dyed). 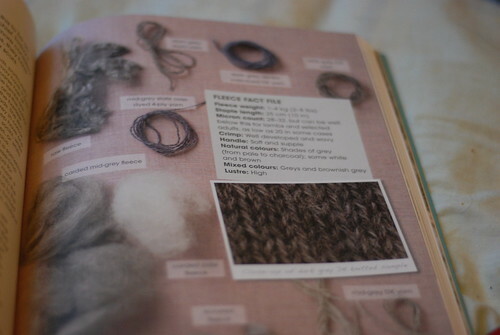 My favorite part of the book is the charts in the back - an easy quick reference to the qualities of the wools, substitutions, and the natural colors in which each breed can be found. I'm a sucker for charts and graphs, and these brief charts pack a lot of information into a small space.